Johnson & Johnson Human Performance Institute (HPI)announced the expansion of its purpose-driven, character-centered executive development and wellbeing program, Premier Executive Leadership™ (Premier). HPI will now offer additional forms of its flagship Premier program, customized to cater to the unique needs and demands of the current, and next generation of global leaders. Gathering feedback and insights from CEOs, C-suite leaders and chief human resource officers around the globe, HPI uncovered an unmet need for highly personalized executive development programs that build and reinforce physical wellbeing, mental and emotional resilience, and character-centered leadership. This new offering expands upon the official launch of Premier last year. The goal of Premier is to reinforce senior leaders and help them build personal resilience and character-centered leadership competencies that go beyond basic business skills-building. The highly confidential experience is delivered by a team of three coaches, personalized to meet executives where they are, when they need it and on their own terms. The flagship program includes personalized 1:1 coaching with a registered dietician, an executive coach and an exercise physiologist; a two-and-a-half-day Performance training session with assessments in key areas including resilience, character strength, wellbeing and energy; family engagement, and 360° stakeholder feedback throughout. The expanded program offering, including variations on the flagship program which last between six and nine months, can be further customized for executives based on their needs. For more information on the program, visit www.premierexecutiveleadership.com. Johnson & Johnson Human Performance Institute is a pioneer in proven, sustainable behavior change with more than 30 years of research and results in the fields of performance, resilience and leadership. We help individuals and companies maximize energy and improve wellbeing – fueling higher performance and inspiring purposeful living. Our holistic, multidisciplinary approach helps individuals become physically energized, mentally focused and fully engaged in the moments that matter – for real results at work and at home. Our work with professional athletes, military Special Forces and Fortune 500 CEOs proves that when you bring your best energy to work and life, you can accomplish remarkable things. For more information about Johnson & Johnson Human Performance Institute, visit HumanPerformanceInstitute.com | follow on LinkedIn. Johnson & Johnson Health and Wellness Solutions, Inc. helps individuals stay engaged in long lasting behaviors that drive positive health habits and improve outcomes. Expertise focuses on designing interventions through a science-based, adaptive learning platform to sustain health behavior change. Businesses, partners and healthcare providers can benefit from enhanced patient and consumer experience to meet the demands of the changing healthcare environment. 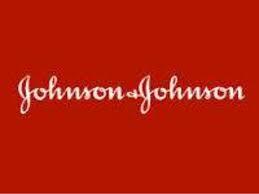 For more information about Johnson & Johnson Health and Wellness Solutions, visit JJHWS.com. Johnson & Johnson Human Performance Institute is a division of Johnson & Johnson Health and Wellness Solutions, Inc.
 Steven Cunanan does not have a financial or business relationship with Human Performance Institute or its affiliates.